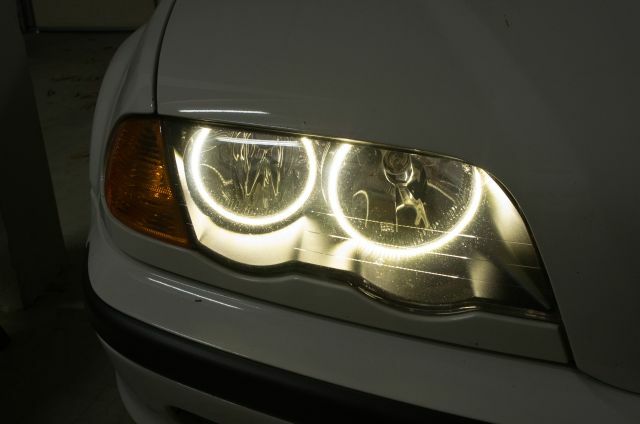 I installed some daytime running lights, called "Angel Eyes" on bimmers, inside my headlights just for looks. 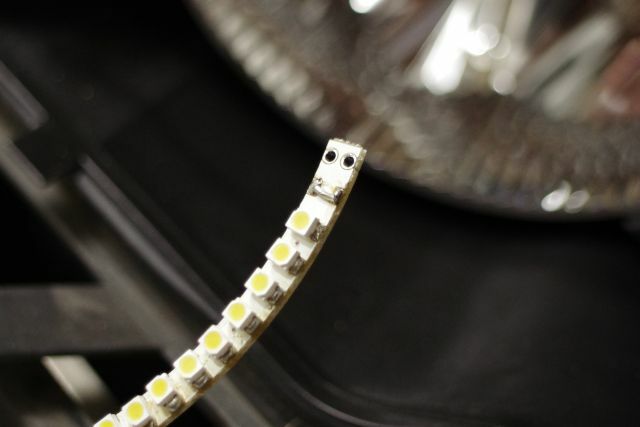 One of the LEDs went out recently, and because they are wired in series, it caused a whole row of LEDs to stop working. 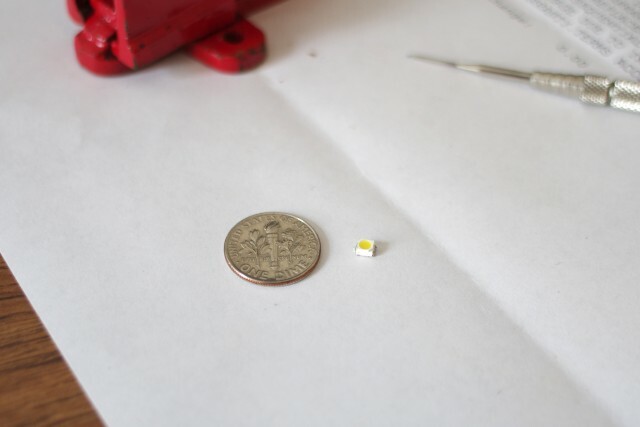 I desoldered a working LED from the end of the ring (that isn't really visible from most angles anyways) and put it in place of the dead LED.